Like lots of owners of a reflector mounted on an EQ style mounting I found the eyepiece position could often be a problem. It often seems that whatever you want to look at in the sky is always going to end up with the eyepiece in a strange angle. Now in theory you can simply loosen your tube rings and rotate the telescope in its rings. Practical experience showed me that while this was entirely practical with lightweight tubes it starts to become a real headache in the field with heavier tubes. Slacken the mounting rings too much and the scope can slip ruining your careful balancing. Slacken them by not enough and its all too easy to push a GoTo mount off of its alignment. There are commercial rotating rings available but they tend to be both expensive and heavy. I searched around but it seemed everything was either precision engineered and expensive or home brewed and looked at best odd and at worst a bodge job. I resolved to have a go and do something that fell between the two. A for sale advertisement of a pair of secondhand tube rings for my scope prompted me to buy them and try my own approach. This will only work for sure with Sky-Watcher / Orion Tube rings but the solution may be adaptable to work with other manufacturers fittings. The scope in use here is a Sky-Watcher 200P on an HEQ5 mount. The spare tube rings cost me £20. 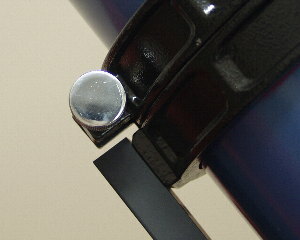 The Sky-Watcher tube rings come with a join that's held together by an M4 round headed screw. The picture above shows the rings as delivered with new units. Notice replacement felt done by myself. Remove the dome headed screw and lay it aside. It will not be required. Retain the washers and the nylon lined nut. Here is the fixing hardware from the tube rings as they are delivered with new units. 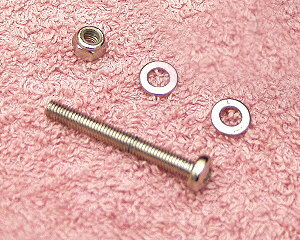 It comprises an M4 round headed screw, two washers and a nylon/plastic lined nut. I drilled out one of the tube rings for ONE SIDE of the ring only. This is drilled out to fit the width and depth of an M4 Cap headed bolt head. 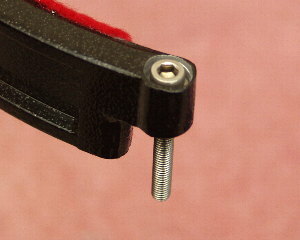 The bolt is shown in the following picture. Drill little by little and go slowly. The tube ring is cast and of quite a soft metal. Drill a little at a time until the bolt head and one washer are flush with the top of the tube ring. 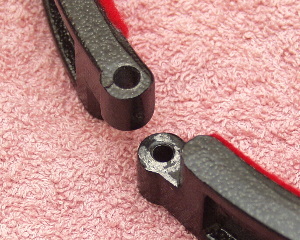 The picture above shows the M4 bolt, seated on a washer and flush with the top of the tube ring. 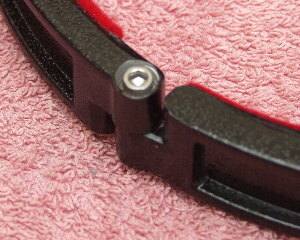 The two parts of the tube ring are now assembled with the cap headed bolt and the original washers and nylon lined nut. You will need to carry out the modification to two of these rings to do this. One as the rotating ring and one as the mounts tube ring. These are then mounted with the M4 nuts facing each other. CAUTION: Before starting work make sure you have the orientation of the two rings correct so that flush surfaces are facing each other AND the rings main bolts are in the same direction. The picture above shows a close up. 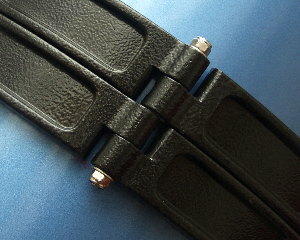 You can see that one tube ring is attached to the mounts dovetail bar while the other is free to rotate. Even the widest part of the rotating ring should clear the end of the dovetail bar as shown above. The rotating ring system in use on my Skywatcher 200P / HEQ5 Mount. 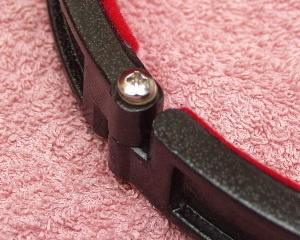 Notice that the main ring bolts that open and tighten the rings face the same way. 1/ Place the new rotating ring onto the telescope tube forward of the existing tube ring. 2/ Balance the telescope as per normal. 3/ Once balanced make sure the rotating ring is placed in contact with the forward tube ring. 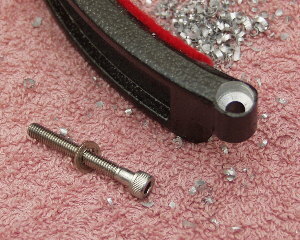 4/ Tighten the rotating rings main bolt so that the telescope is held firmly. Now whenever you need to rotate the telescope tube you can simply slacked off the tube rings, the rotating ring will prevent the telescope from slipping downwards. 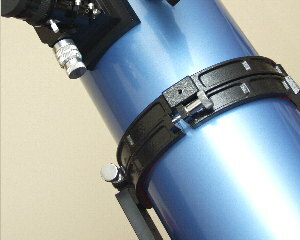 Simply rotate the telescope to its desired position and lightly tighten down the main tube rings. I did consider placing a small handle onto the rotating ring but decided against it because it was just as simple to rotate the tube by holding the rotating ring by the raised parts of it to rotate it. 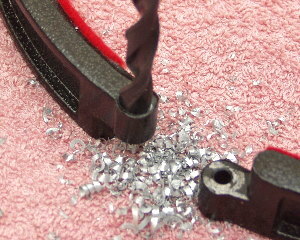 You may need to re-felt your rings to prevent any damage to the telescope tube finish. The original Skywatcher felt was rather thin. I replaced mine using a good quality self adhesive felt from a hobby store.